It's Christmas time and everyone are excited to shop for the coming holiday season. My friend Grace is such a sucker for bargain goods. I bet like my friend, you also wishes that the shopping malls has extended shopping hours right? Worry not because in Divisoria, shopping nights await you at Tutuban Center night market. Yes, when the mall closes but the shopping urge is still unsatisfied, you and your friends can now troop to the Tutuban Center Night Market. 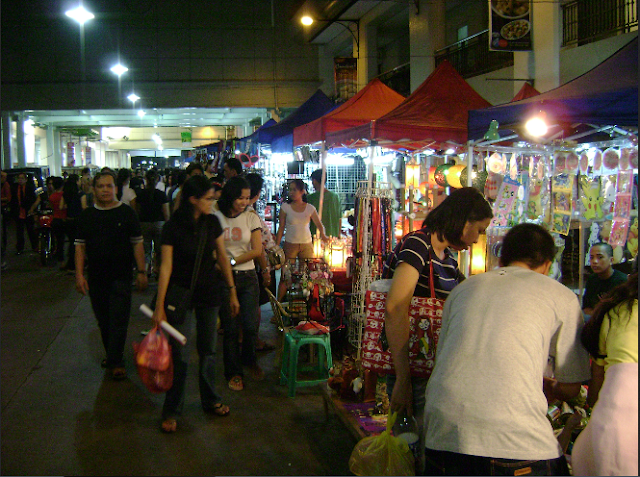 It is the Philippines’ answer to the world-renowned night markets of Hong Kong, Bangkok, Kuala Lumpur and Singapore. I've been to different countries and nothing beats the unique "tawaran" system in Tutuban. This unique bargain shopping destination allows you to experience open-air shopping at its best, with the widest array of goods and supplies at the most reasonable prices. The Tutuban Center Night Market is a clean, organized and secured market area that brings together a collection of stalls that sells personal items, kitchen wares, garden accessories, handicrafts, sports gear and novelty knick-knacks—and just about anything you can think of. It is the exciting place where, at the close of regular mall hours, street vendors take over the vehicular road network of the main cluster of the Tutuban complex to set up their stores and sell their goodies. From the early evening to midnight, the perimeter area of Tutuban Center metamorphoses into a dynamic market, with pockets of brightly-lit stalls with equally bright-eyed shoppers angling for the most awesome bargains. Haggling and negotiating over prices is definitely the standard practice, and goods all come at cheaper and more affordable costs. And now that Christmas is around the corner, you can browse more than a thousand imaginative gift ideas. This is the market where “there’s something for everyone” rings true and real. Gift suggestions are yours for the giving: for your office secret Santa to your special someone; for the sister who is into arts and the niece into crafts; for the brother who is a gadget geek and the nephew who’s a technophile; for the boss who is a cook and his wife’s who’s a foodie; for your Mom who’s a home buff and Dad who’s a garden aficionado. While Christmas carols are on full blast, enjoy dining al fresco at the Food Street. Freshly cooked seafood and hot-off-the-grill offerings are yours for the partaking to drive away your hunger pangs. Hong Kong-style or homemade noodles will surely chase the cold Christmas chill away while street staples such as hotdogs, kikiam and fish balls are sure to satisfy your cravings. 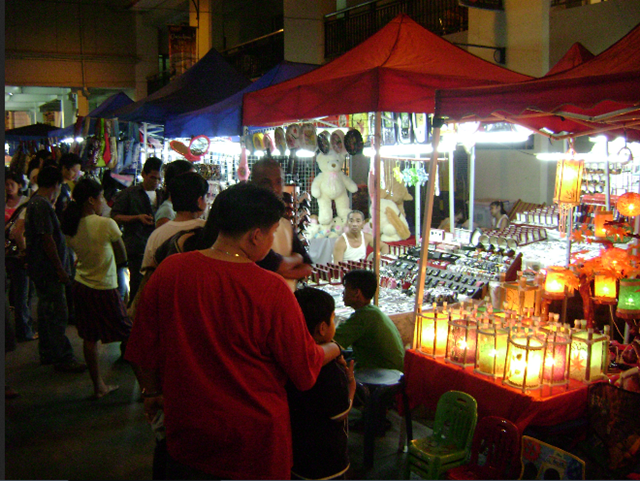 It is now more exciting and more leisurely to stroll around the Tutuban Center Night Market, but the experience is still the same for shoppers who have loved the nightly bazaar for, such as the great bargains, amazing discounts, joyous atmosphere, and food and fun for the entire family and barkada. With this kind of shopping experience, going to Tutuban Center Night Market is surely the way to go, where shopping is always the best—any time, any day.